…like adding earrings to an outfit, one of our favorite ways to refresh the vibe of a room in our home is with accessories. Imani Collective offers artisan made homewares that deliver a special touch for every room in the house. Shop some of our favorites that are sure to warm up your home this winter! …A throw blanket that looks as amazing as it feels? Yes, please! The Diamond Blanket has a subtle diamond pattern and is available in charcoal and linen. Hand-loomed by local artisans with 100% organic cotton fibers sourced in Kenya, this beauty will keep you warm all winter. …Soft on the feet, and on the eyes, the Meru Woven Rug is hand-washed, hand-spun, hand-dyed and hand-woven. …The Lamu Woven Pillow Cover adds texture to any couch or chair. This hand-woven piece is named after the small island of Lamu, Kenya - - established in the 14th century, it is known for its rich history and beauty. 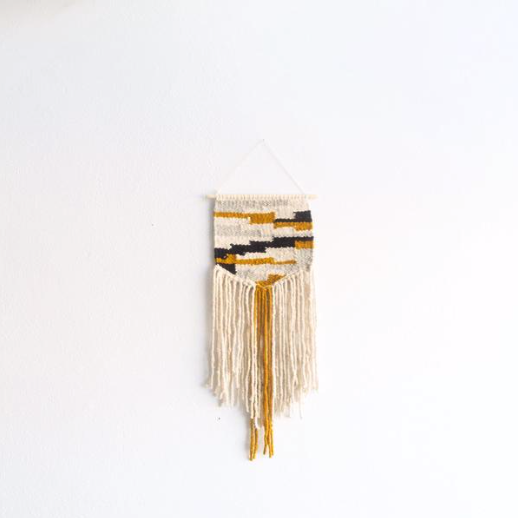 …The perfect complement to the pillow cover, the Lamu Woven Wall Hanging adds character to a gallery wall of photos. …This adorable trio is the perfect gift for new parents. Sewn and screen printed by hand on natural canvas by local artisans. …Just for The Cause Bar Community: Use code "CAUSEBAR" and save 20%. Promo code is valid January 14, 2019 – January 20, 2019. …We’re partnering with Imani Collective to gift one lucky follower and a friend with an Imani Collective Diamond Blanket. Visit @thecausebar on Instagram for details. Giveaway is live January 14-January 18.